Among numerous test facilities that dot the European tip of the Arctic Circle, those surrounding the small Swedish town of Arvidsjaur are justly famous. It can drop to -40deg C here and it snows frequently. Perfect conditions, then, for freezing lakes, and keeping them frozen for the business of car and tyre testing. 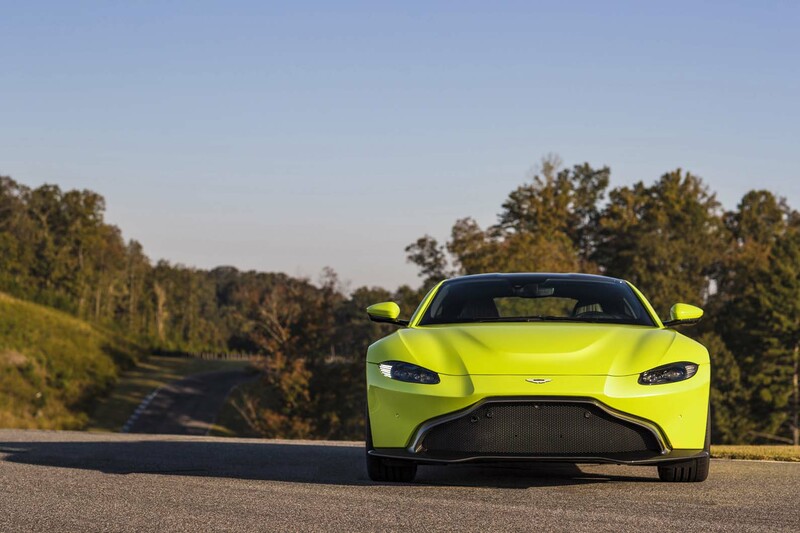 Aston Martin is here with the new Vantage because Continental is here. Buying an ESP system from the German tyre giant also buys you test time on its winter facility – not for cold weather stuff specifically (Aston does that in Finland) but rather to fine-tune the stability control software so that it delivers a dynamic experience that is suitably ‘Vantage’. At this point in development, early in 2017, the Vantage in question is barely worthy of the description. The mule’s body is a mongrelised version of the DB11, and you’d have to lever it off to know that the chassis and Mercedes-AMG 4.0-litre twin-turbocharged V8 are all present and correct. In the driver’s seat is Mark Barron – project engineer, stability control systems, and the lead figure in a small team from Aston that has already been in Sweden for a fortnight. It’s Barron’s job to liaise with the Continental engineers and adjust the software’s default parameters as Aston sees fit. Although this involves tracing thousands of signals and calculations, he confirms the assessment itself is pleasingly subjective – and the results impressively immediate. That Barron relays this while drifting effortlessly around a track not much wider than a double garage speaks not only to the level of expertise that Aston deploys to far-flung test locations, but also the degree of roundedness already apparent in the half-breed test mule. Barron says the V8’s gruff engine note still needs work – along with umpteen other facets of the car’s personality, no doubt. But with more than a year to go before a journalist sits in the finished product, the Vantage’s docile, throttle-adjustable and apparently endlessly biddable back axle already seems a long way from the drawing board in the Arvidsjaur snow. I never had an AM, have driven a few including a DB6 to my second marriage - a loan from a shipowner friend ( he offered me the Roller but I wanted this.